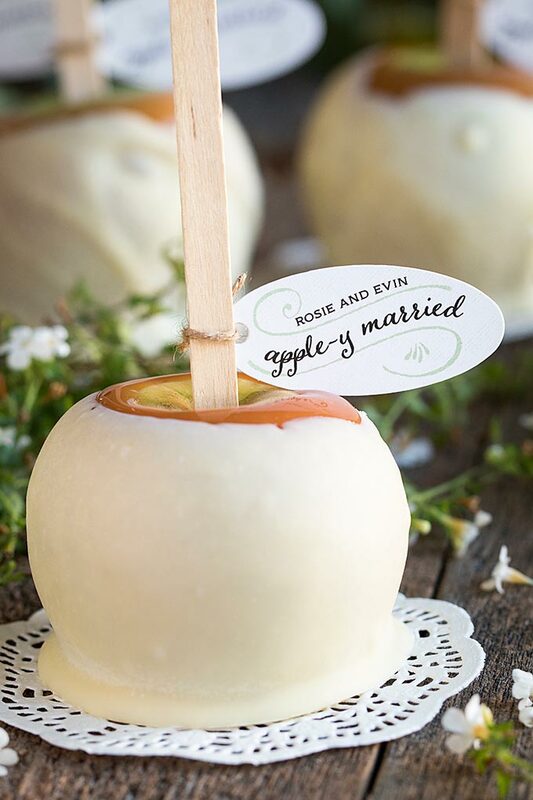 These Chic + Unique Halloween Wedding Ideas Are A MUST See! A wedding theme can be anything; a season, a color scheme, a shared interest, or even a holiday. 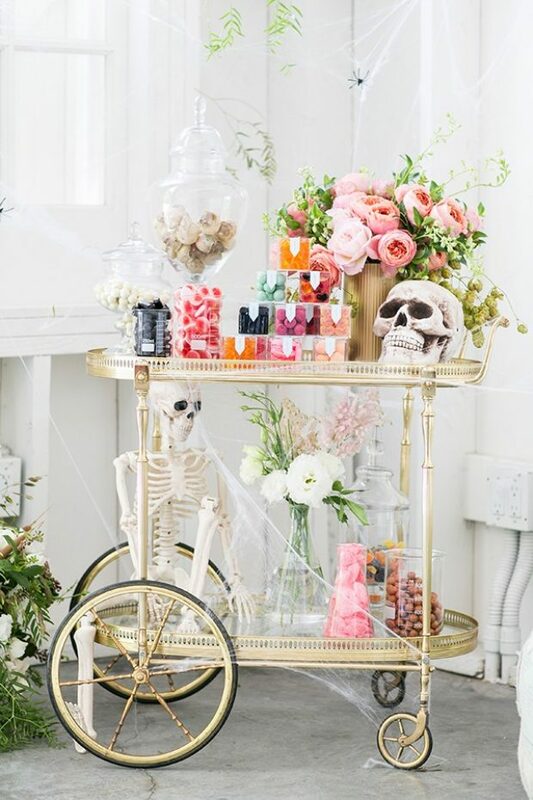 Traditionally, a love-related theme is used, but if you’re a non-traditional bride, a Halloween wedding may be the perfect way to say “I boo”. Merging two polar opposite events can be challenging, but it’s absolutely possible. 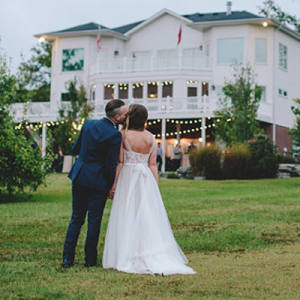 The trick is to stick to a subtle theme while incorporating the traditional wedding elements you value the most. 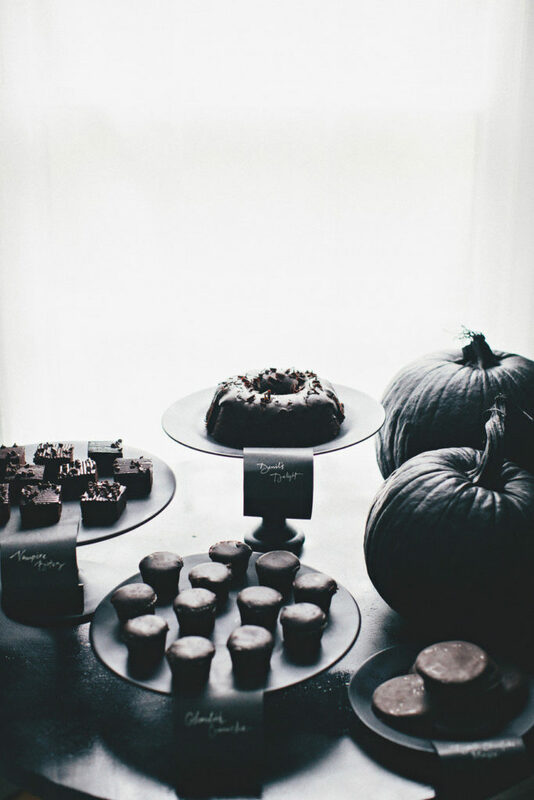 To get you in the wedding Halloween spirit, we’ve rounded up 15 ways to throw a sweet and spooky affair, complete with candy corn and cake (or maybe a candy corn cake?). 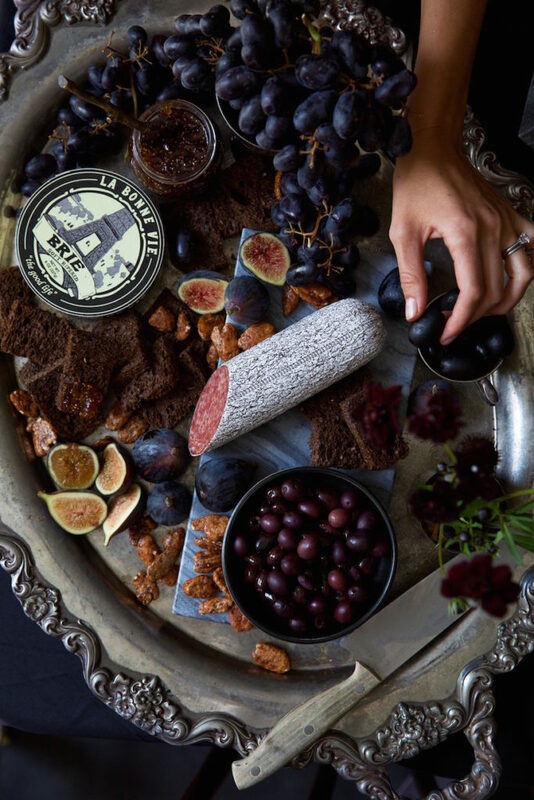 Ditch the traditional light and bright tablescape for something more dark and mysterious; try dark flatware, napkins, name tags, menus, or cups. 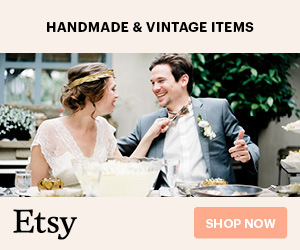 Styling + Found on: Style Me Pretty / Photography: Rebecca Hansen Weddings. Photography: Kate LeSueur / Found on: Camille Styles. 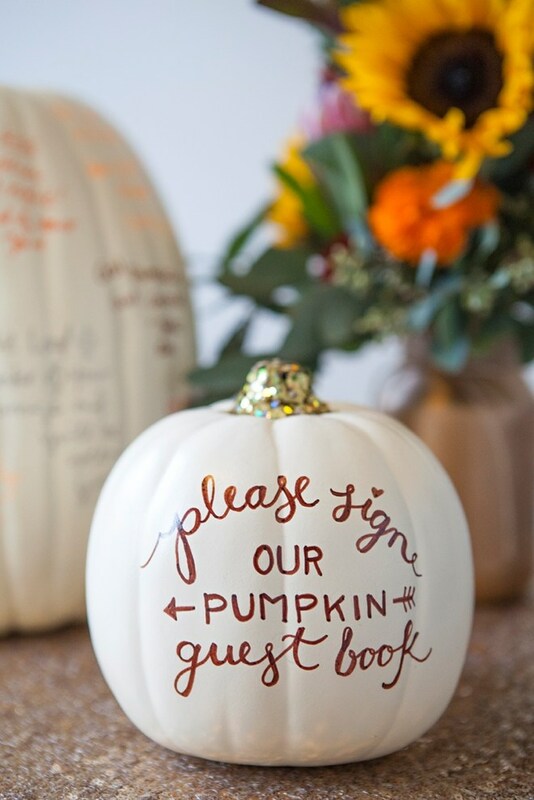 Make this easy DIY faux pumpkin guest book for a festive memory that will last a lifetime. Photography: Something Turquoise Photography / Found on: Something Turquoise. 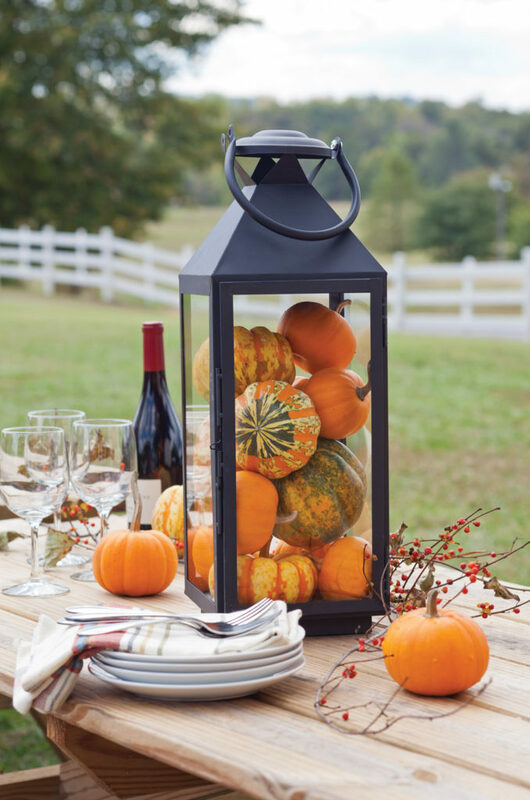 Lanterns are a little spooky and a lot stylish; leave them empty or fill them with candles, pumpkins, gourds, or anything else that screams Halloween to you. 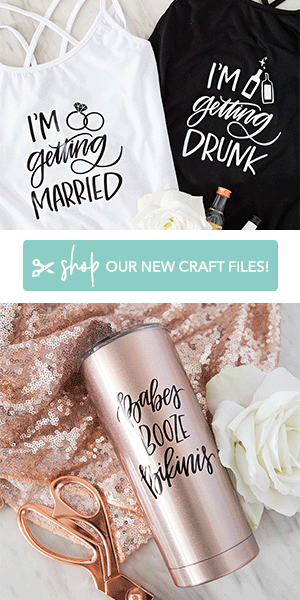 Bonus: you can keep the lanterns as a keepsake and use them around your home after the wedding. Invite your guests to “trick or treat” at your dessert bar full of gummy worms, candy corn, black gumballs, and chewy spiders. Found on: Sugar and Charm. Dress up this classic fall treat by using white chocolate or caramel. 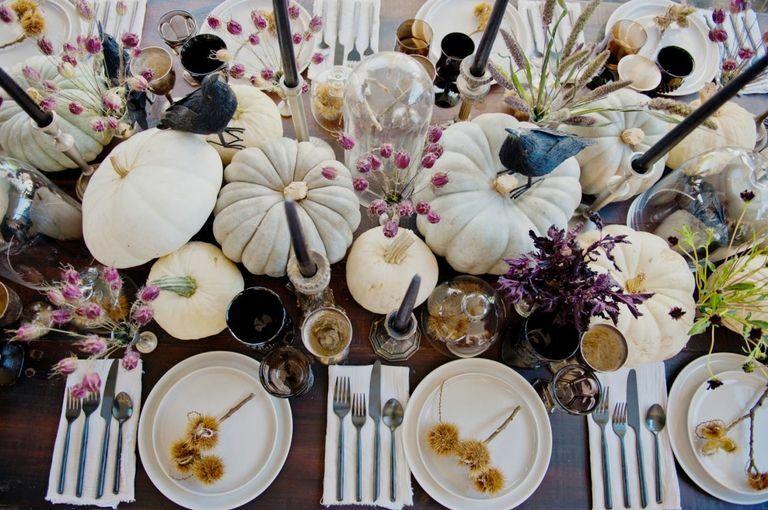 Spookify balloons, vases, pumpkins, and table settings by covering them with black tulle or lace. 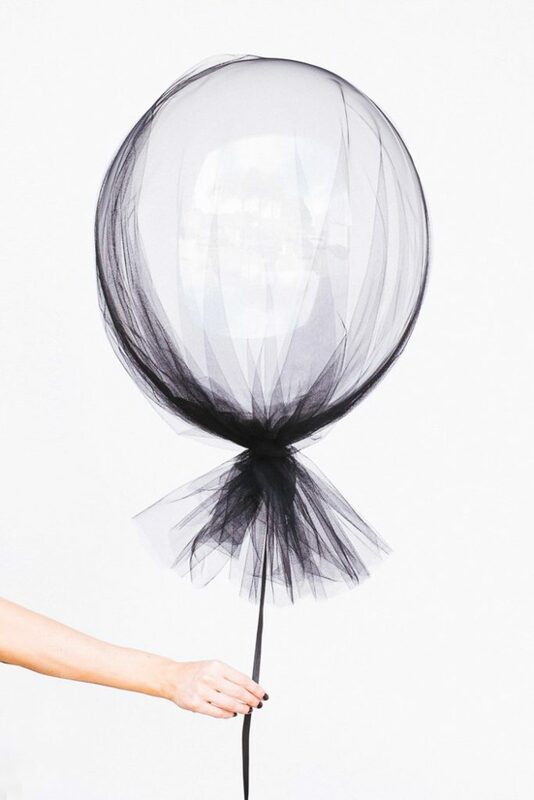 Photography, concept & creative direction: @hipster_mum / Balloons: @borntopartyshop / Found on: Poppy Talk. 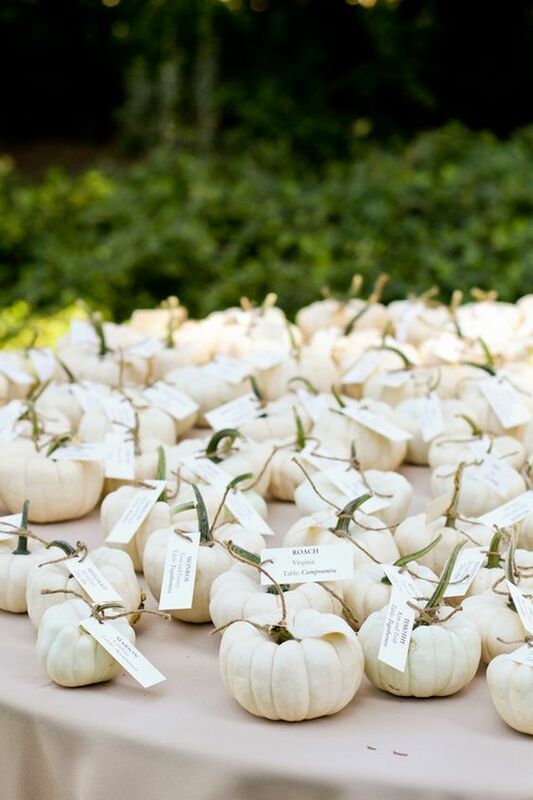 Show your gratitude with a mini pumpkin or gourd that guests can take home. 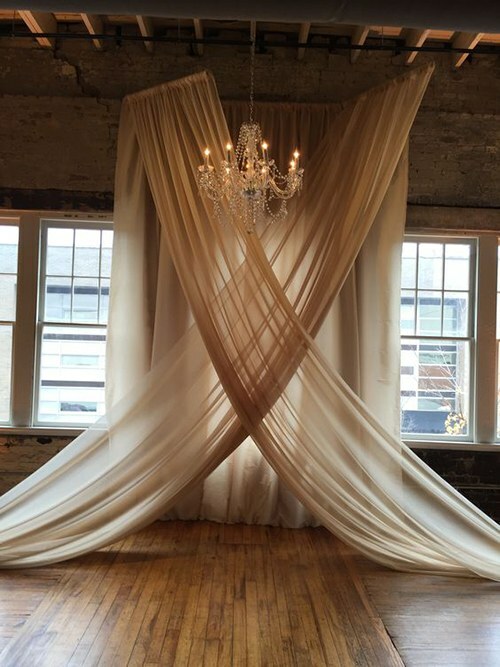 Draped fabric can be both creepy and chic, so it’s the perfect backdrop for a Halloween wedding. 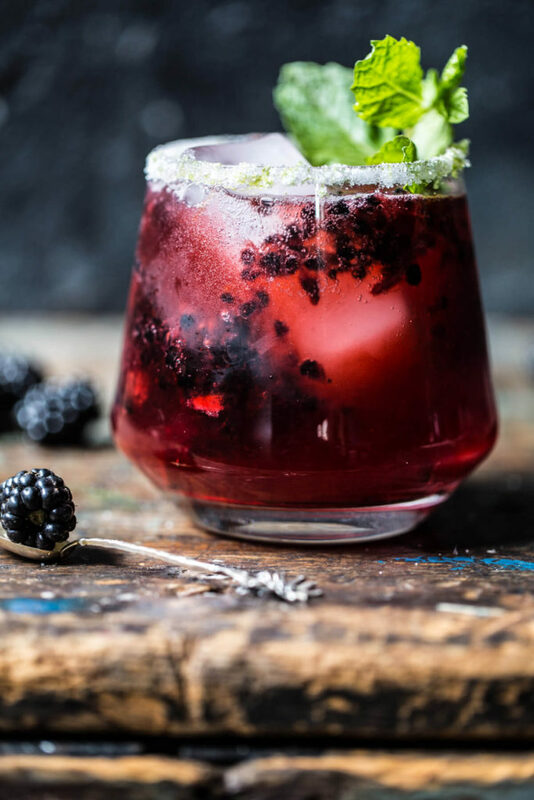 Offer your guests some sinister sips by incorporating ingredients like blackberries, currants, raspberry syrup, black vodka, or blood orange. Found on: Half Baked Harvest. 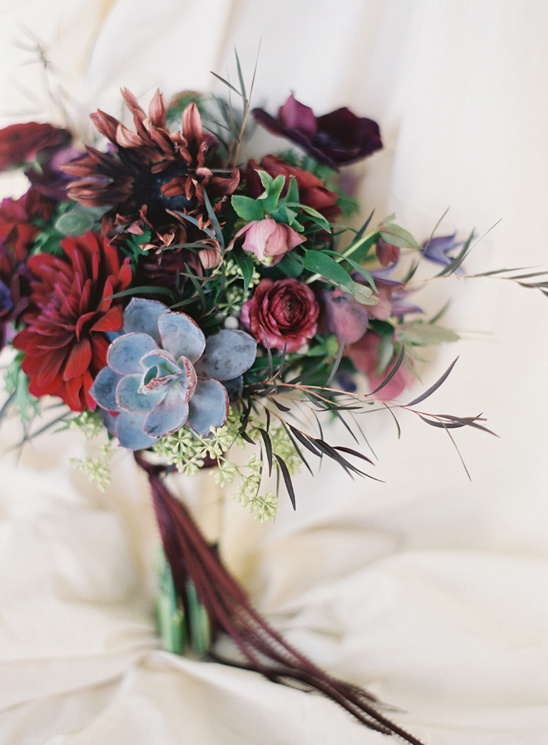 Flowers add drama to any wedding, so use classic wedding flowers like ranunculus, calla lilies, anemones, and dahlias in deep colors for a dark, romantic vibe. Photography: Bryce Covey / Found on: Wedding Chicks. Start saving those empty wine bottles now to create easy DIY wine bottle candle holders. 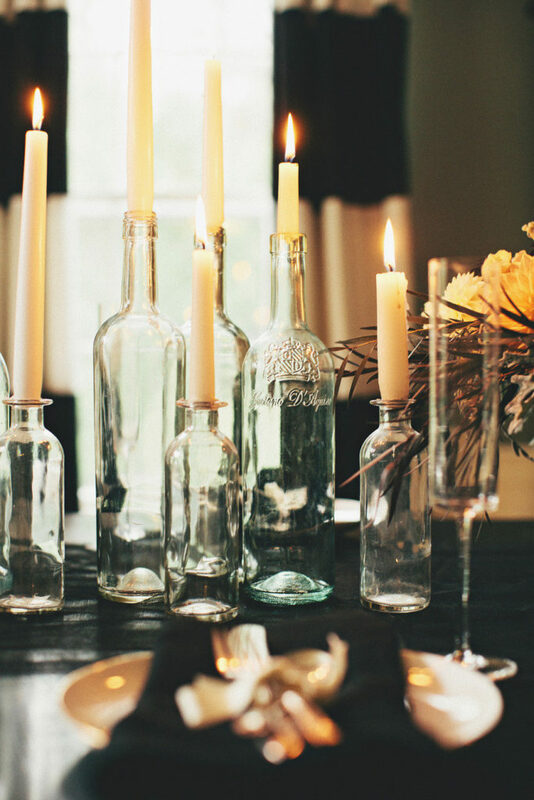 Clean the bottles thoroughly, remove the labels, and melt some wax over the bottles for easy, affordable centrepieces. Combine gourds, orange pumpkins, fall berries, and white pumpkins to create a DIY table runner. 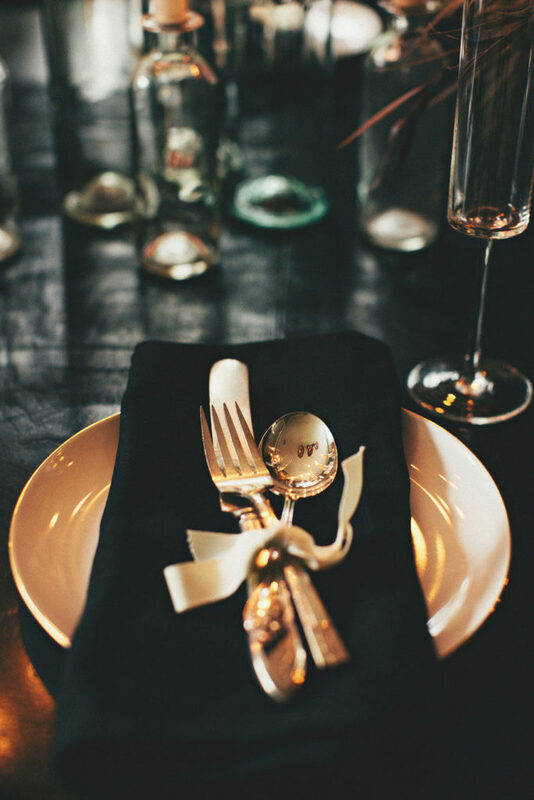 Photography: Sarina Cass of Red Anchor Photo / Tabletop: Borrowed Blu / Flatware: Classic Party Rentals / Found on: Elle Decor. 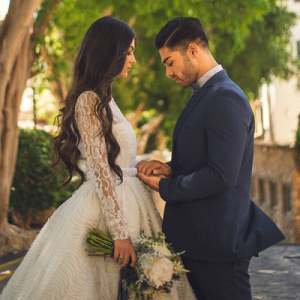 A Halloween wedding is anything but traditional, so why not consider a non-traditional wedding dress? 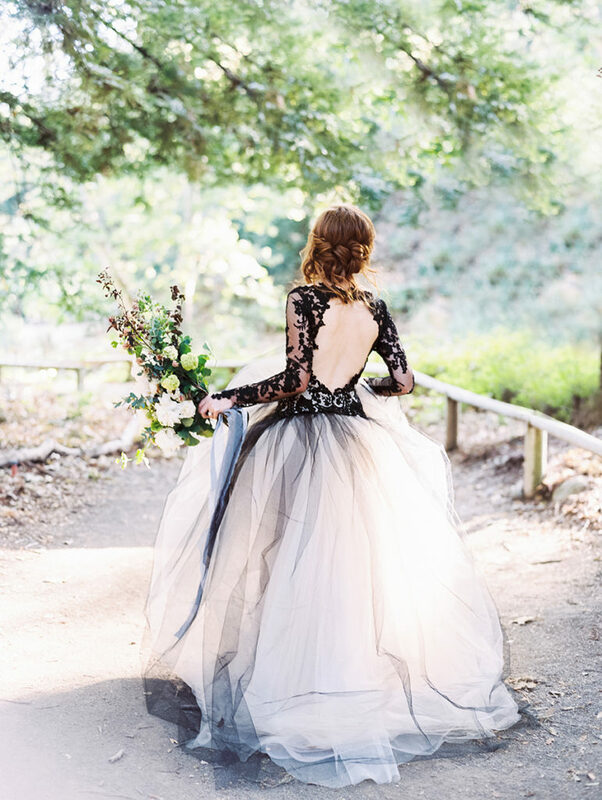 Look for dresses and accessories with black tulle, beading, or lace accents if an all-black dress is too extreme for you. 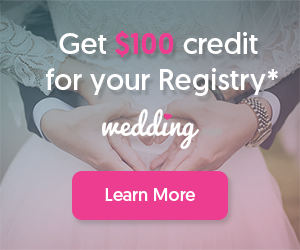 Hair And Makeup: Chiali Meng Artistry / Wedding Dress: Elizabeth Mackenzie Designs / Photography, Concept + Creative Direction: Luna de Mare / Floral Design: Emblem Floral Design / Model, Agency: Lacey Hannan / Found on: Style Me Pretty. 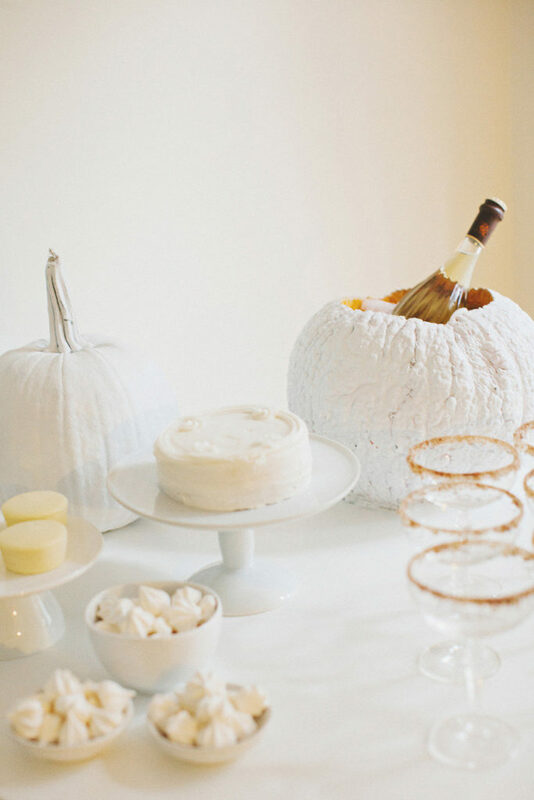 Carve out a pumpkin and fill it with ice for a unique Halloween-themed ice bucket. 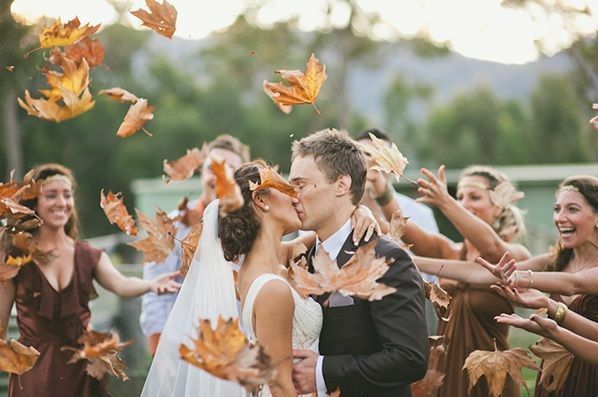 Use leaves instead of wedding confetti; not only is this swap environmentally friendly, it’s completely free. One word of caution: please inspect the leaves thoroughly before getting your wedding party to throw them at you. To avoid unexpected surprises, dry the leaves out for a few days or use faux leaves instead. Photography: Lara Hotz / Found on: Swooned Magazine. 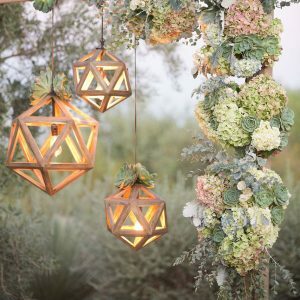 Kendra Hagerman is a fashion, beauty, and lifestyle writer who had a dreamy DIY backyard brunch wedding. She and her husband are now the proud fur parents of Mona, a chiweenie rescue that is still getting used to the Canadian climate. Find and follow her on the social channels below for design, wedding, and fashion inspiration!